Think SUVs are all the same? 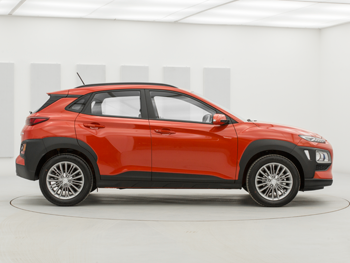 The innovative all-new Hyundai KONA has a range of personalisation and colour options to make sure you’ll always stand out. Don’t let the rules define who you are. 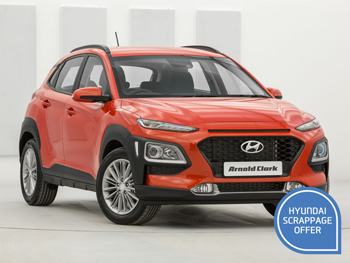 The Hyundai KONA gives you all the driving power and practicality of a crossover SUV with extra room for your personal style. The KONA offers you carte blanche to create, with its robust and eye-catching bodywork, imposing stance and confident styling. Show your true colours with contrasting roof options. Enjoy sheer practicality, from its choice of turbo-charged powertrains and a 4-wheel drive option to Hyundai SmartSense safety technology. 334 litres of boot space, towing capacity and cruise control make it truly versatile. Bold both inside and out, the KONA’s interior allows you to express yourself even further. Choose your interior stitching to match your body colour, from lime green to vivid orange. You can also configure your connectivity options, from Bluetooth as standard to a Krell 8-speaker system with smartphone mirroring and a wireless charging pad. Available in 9 vibrant body colours, the all-new Kona is no shrinking violet. Welcome to a new way of seeing. Available on Premium SE and GT models, this clever luminescent display is positioned in the driver’s line of sight, giving you vital information about direction and speed. Always stay on track with the KONA’s front camera, which follows the lines of the road and keeps you in lane. Stray off the beaten track and it will gently correct your steering and put you back in position. On the 8-inch touchscreen panel, be gently guided into your parking space with the park assist feature, which alerts you when you’re too close for comfort to another car.